that reached 17 000 readings in 3 months, an unheard of achievement: it is very intense, not a single is without important information. Watching http://www.ecatskdemo.com I got the impression that you are not far from making an Ecat totally indipendent, I mean an Ecat that fuels itself without necessity of other power sources. Is this a nonsense? a) do you think it will be possible to combine direct electrical generation and PV cells in a single e-CAT to reach higher efficiency ? b) by the end of June are you planning to organize a web presentation or to disclose a report to provide additional infos about the progresses you made in this field ? Thanks a lot if you can answer. Just a general question about the E-Cat SK. Do you think that the SK can be used to transmute matter directly, just as a industrial process? There is an interesting market for all kinds of isotopes..
Did you already get electricity directly from the plasma of the Ecat SK? I know you are focused at the moment on direct electricity production (which I have to say us very intriguing) but I thought this might interest you never the less. It could be interesting for you in a couple of ways I guess. 1. the full application for electicity production (perhaps could be applied along with your other process). 2. The down conversion to near IR wavelengths using perovskites. obviously this is an attempt to invent obstacles against the LENR: in absence of real arguments, also the ghosts can do… but people are not stupid. all that is possible to share. Beyond that we enter in the field of the confidential IP, that, for obvious reasons, is restricted to our Partnership. Really impressive also the tecnology used from the teams of astrophysics, physics and astronomers around the world that have integrated the data of their observatories to compound the complete image as a puzzle, assembling the pieces of local views. 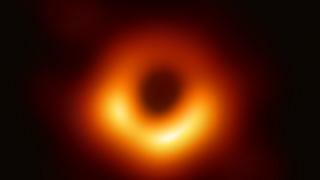 Impressive the photo of the black hole ! May I ask please, as I believe it is important for all to understand the physics of your work, if the esteem respect of those who you trust and would like or enjoy to work with, so advancement could not be just upon your shoulders but on those willing to share your discovery and help resolve this great shift in illuminating the truth of what is happening. Who would those scientists or engineers be ? It does not depend on us, as I explained. Of course we will make it happen as soon as possible. how much time do you think will pass before some of your customers will be publicly known? Can’t you solicit at least one of them? I read today on Researchgate ( http://www.researchgate.net ) this very interesting publication of Dr Hossein Javedi, added to the project “Creative Particles of Higgs, or CPH Theory”. Thank you for the information and the link! 2- they who do not errors can throw the first stone. Technologies are born and developed by means of errors. Unfortunately, as they say, the air and space technology history is written with blood, but the percentage of victims of aircraft incidents are statistically by an order of magnitude minor that the victims of car and motorcycles crashes. I am not a ghostbuster. I react to things I can measure. and what about the unknown radiations, also called dark radiations? Thank you for the enormous body of information that you and your readers publish on this excellent blog about the LENR: combining the comments and the links on them this blog is a LENR constantly updeted encyclopedia. The video http://www.ecatskdemo.com is a masterpiece. What do you think of the error made by Boeing that caused the death of over 300 persons, just because they did not install a double control system of the device that calculated the inclination of the aeroplane? Could in future the Ecat have a role to correct these errors? No, neither during the many measurements ( hundreds ) made by specialists independent from us. I noticed that the Ecat SK shown in http://www.ecatskdemo.com has on the top a Sievert detector and a neutron bubble column: did you measure ionizing radiations in the 10 years of operation emitted from all the Ecats ? 2- no, at this point I can’t disclose this. 1) You said that your Direct Electricity Effect will, in part, be explained by current and future LENR theories. Do you believe that your current theory (http://www.researchgate.net/publication/330601653_E-Cat_SK_and_long_range_particle_interaction) explains that effect already, or will it need to be expanded? 2) Can you say: is the Direct Electricity Effect a “DC” effect (fixed polarity, like a photo-voltaic cell) or an “AC” effect (alternating polarity, like an engine-generator)? If I have understood, you are asking how can we measure something that does not exist in our knowledge: well, in this case we will have to study the effect, if any, to learn how to measure it. No, it is not;the difference is in the control system. your paper on http://www.researchgate.net/publication/330601653_E-Cat_SK_and_long_range_particle_interactions cites the Wan Der Waals and the casimir forces as a possible source for LENR: aren’t they too weak for this? I refer to http://www.ecatskdemo.com and to the video of the November 24th Stockholm Ecat QX presentation: which is the difference between the QX and the SK: is it also in the charge? I understand that every electric Wh you get directly from the plasma of the Ecat SK is worth 3 times a thermal Wh, correct? I do not understand what you mean. Is your eCat-SK Electric model based on Magnetohydrodynamic generation? …and what would happen if a new phenomenon never observed before instead of electricity was involved in the production of Lenr plasma? We would not have tools to measure it.